Social media is not going anywhere. It is the core of the marketing strategy for each organisation. 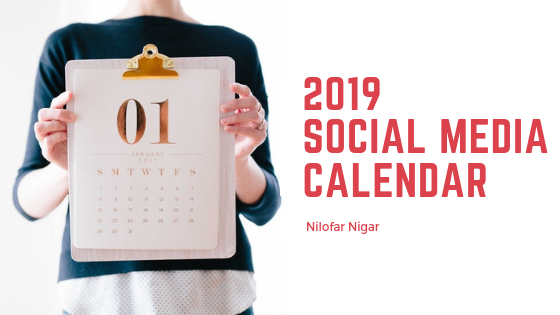 Having a well crafted social media calendar helps in strategising the posts, tweets, images, keywords, CTA, target persona and hence is immensely useful to have a greater reach and thereby achieve the set social media objectives. Below is the glimpse of my personal social media calendar for 2019. Additionally, i have also designed the social cards for each of them so that the January month is sorted and it is just a matter of scheduling. As the marketing/technology domain is dynamic it is always better to have a month of posts and tweets rather than a quarter as what news/trend matters now might change with time.